Conrad Algarve price per day from € 368 Offering an infinity pool blending with the Atlantic, the luxury 5-star Conrad Algarve is set in the golfers’ paradise Quinta do Lago. All-day dining is offered at Conrad Algarve, where 3 restaurants and 3 bars can be found. Magnolia Golf & Wellness Hotel price per day from € 116 Featuring a new management, Magnólia Golf & Wellness Hotel offers a luxurious stay in Quinta do Lago, Almancil, Algarve. Other amenities include a minibar and safety deposit box. Guests may enjoy the varied menu at the Mag’s Restaurant-Bar and Pool Bar which features an innovative concept of a Beer Experience Menu, with a hint of beer in all dishes..
Ria Park Garden Hotel Located within Ria Formosa Natural Park, the Ria Park Garden features tropical gardens and a pool enclosed by flowers and plants. With its many verandas and arches, the Arab-inspired Ria Park Garden Hotel offers spacious rooms and suites with private terraces and satellite TVs. 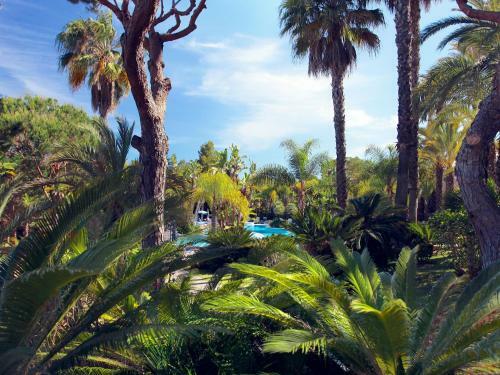 Ria Park Hotel & Spa Located between Vale do Lobo and Quinta do Lago, this elegant 5-star hotel is a 10-minute walk from Garrão Beach. The spacious air-conditioned rooms open to a balcony overlooking the tropical gardens or the Atlantic Ocean. Santos Villa in Quinta do Lago Located in Quinta do Lago, Santos Villa is a 15-minute walk from the beach and has an outdoor pool. Guests may cook their own meals in the full modern kitchen at their disposal. Various local restaurants are also available nearby, within a 2 km radius..
Quinta Dos Rochas price per day from € 54 Conveniently located halfway between Quarteira and Almancil, Quinta Dos Rochas enjoys a rural location. 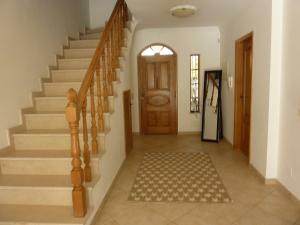 It offers traditionally decorated rooms, a large garden, and an outdoor pool with sun loungers. Each of the air-conditioned room has a satellite TV and a private bathroom. 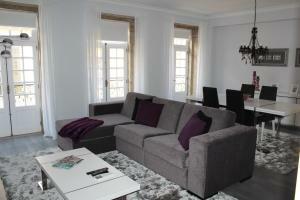 Beach house Vale do Lobo price per day from € 131 . 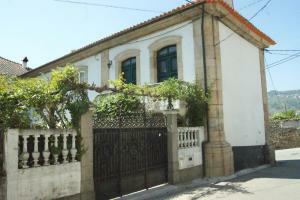 Casa Jacaranda V4 price per day from € 138 . Casa Maureena by BeSpoke . 9. Merge onto N125 via the ramp to Faro/Almancil. 10. Take the exit toward Almancil Centro. 11. Merge onto Av. Duarte Pacheco. 12. Turn right onto Praça Francisco Sá Carneiro. 13. Continue onto Estrada Vale Formoso. Destination will be on the left. Golf club Quinta do Lago (North), 4 km from the centre of town of Almancil. Golf club Vale do Lobo (Royal), 4.2 km from the centre of town of Almancil. Golf club Vale do Lobo (Ocean), 4.6 km from the centre of town of Almancil. Golf club Quinta do Lago (South), 5.2 km from the centre of town of Almancil. Golf club San Lorenzo, 6.4 km from the centre of town of Almancil. Golf club Oceanico (Old), 7.7 km from the centre of town of Almancil. Golf club Oceanico (Victoria), 10.1 km from the centre of town of Almancil.